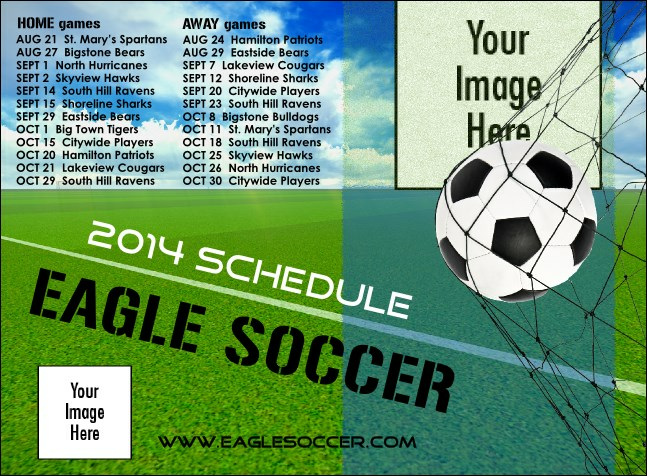 Make it simple for your admirers to decide when to come out and support your team with the Soccer Schedule Invitation! Use this bright and dynamic template to keep them informed from the coin toss with 29 spots for season data and two places for custom, club-related images. Hit your goal with the right invitation from TicketPrinting.com!